Our Mission is to Graduate entry-level Cardiac Sonographers that are competent, responsible, and accountable. Middle Tennessee Cardiovascular Institute is proud to offer their new 13 month Adult Echocardiography Program. The Program is designed and committed to providing students with critical, dual learning consisting of hands on classroom instruction and clinical training experience. We want to ensure that a student’s time at Middle Tennessee Cardiovascular Institute is a enjoyable learning experience that provides lasting professional contacts and invaluable knowledge of Adult Echocardiography. 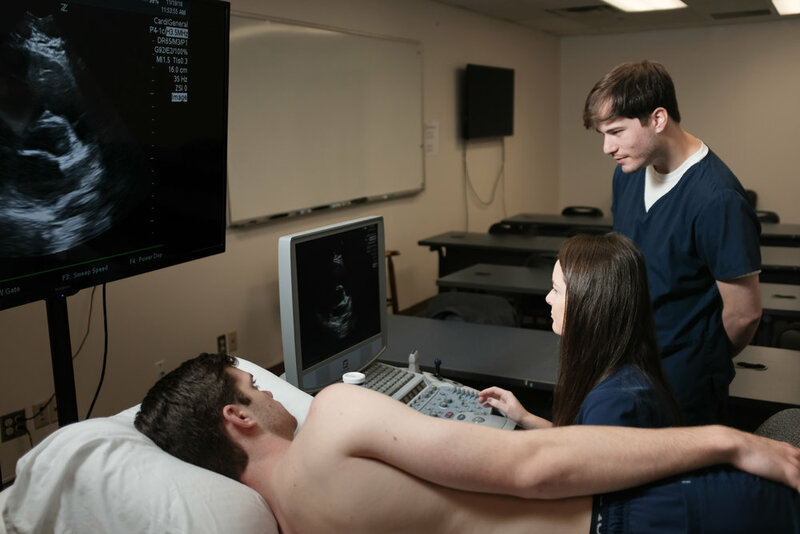 Middle Tennessee Cardiovascular Institute (MTCVI) prepares students for the challenging and rewarding career of Diagnostic Medical Sonography. MTCVI is committed to equipping graduates with the knowledge and skills in performing as competent sonographers that utilize equipment properly, display clinical competency, and provide compassionate patient care. Our mission is to provide the best instruction for students to be professional and skilled Sonographers who work well in any healthcare environment. The Program at MTCVI has adopted a curriculum that prepares and qualifies students for the national certification examination in echocardiography given by the American Registry of Diagnostic Medical Sonographers (ARDMS) and Cardiovascular Credentialing International (CCI). The faculty and staff of MTCVI are devoted to leading students to careers as qualified and credentialed Cardiac Sonographers. MTCVI is owned by Gene Spain. Gene is an experienced Sonographer with over 24 years of experience in Business and Diagnostic Medical Sonography.